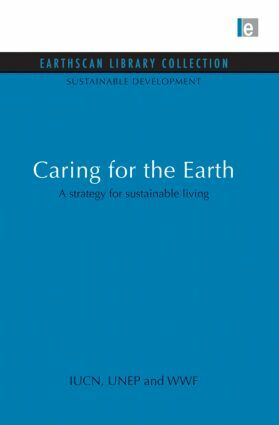 'This is a strategy for a kind of development that provides real improvements in the quality of human life and at the same time conserves the vitality and diversity of the Earth. The goal is development that will be sustainable. Today it may seem visionary. but it is attainable. To more and more people it also appears our only rational option.' – from Chapter 1 in 1980, the International Union for Conservation of Nature and Natural Resources, the United Nations Environment Programme and the World Wide Fund for Nature, the world's three most powerful organizations dedicated to preventing environmental catastrophe, published the World Conservation Strategy. It stressed the interdependence of conservation and development, it gave currency to the idea of sustainable development and it made the point that unless the vitality and productivity of the planet are safeguarded, the future for humanity is at risk. Its impact was immediate and worldwide.